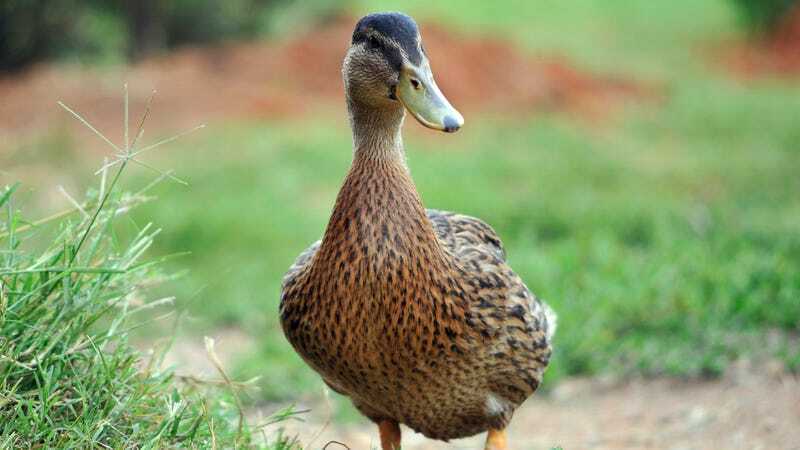 GLADWYNE, PA—Looking askance at the man cradling her young offspring in his arms, a local mama duck stated Thursday that she had no recollection of asking anyone to rescue her baby duck from the road where it lay after being hit by a passing automobile. “Great! Now, in addition to the 10 healthy ducklings I have to take care of, I’ve got to keep looking after this other one who clearly wasn’t fast enough to keep up with us even before its leg was maimed,” said the 5-year-old mother mallard, reiterating that she never once expressed a desire for the passerby to save her badly mauled, partially de-winged duckling from the danger it faced while sitting, unable to move, in the middle of a well-trafficked street. “Look, pal. There’s a reason the rest of us made it across and that one didn’t. It’s called survival of the fittest. If you’re so concerned with its well-being, then you take it. Otherwise, mind your own goddamn business.” At press time, the mama duck acknowledged feeling relief after the injured baby had been torn apart and eaten by a passing weasel.